Welcome to our new home...the Macau thread Part III! There are three main airlines that fly regularly to Macau: Cebu Pacific (www.cebupacificair.com), Philippine Airlines (www.philippineairlines.com), Air Macau, and Tiger Airways (www.tigerairways.com). There were news that AirAsia Phils will launch regular flights to Macau from Clark but as of this posting, there's still no confirmation. Philippine passport holders need NO visa to enter macau for thirty days. Likewise, you can also get to Macau via ferry. Three ferries ply the HKG-MFM route: from HKG side are Turbojet and Cotaijet (uses the Taipa Temporary Terminal), and from Tsim Sha Tsui side is New World First Ferry. Note that the Turbojet ferries reach Macau faster at almost 1 hour while NWFF ferries reach Macau for 1 hour and 15 minutes. It is highly recommended for you to purchase a 1-way ticket to Macau and then get your return ticket from HKG to MNL, lalo na if you are planning to visit HKG after visiting Macau (or vice versa). I have done this for like 8x already and there are no immigration issues. Just present your return ticket to Manila should the immigration officer ask for it as a proof of your onward/return ticket. If you intend on going straight to Macau from the Hongkong International Airport, you have to look for the Skypier at HKIA. No need to undergo immigration formalities as you will be getting straight to the ferry to macau from HKIA. ^^For hotels, we highly recommend Hotel Metropole and Hotel Sintra. There are also people here who stayed at Metropark and Hotel Ko Wah. I have stayed in Hotel East Asia and I was surprised to find that they have renovated the rooms. 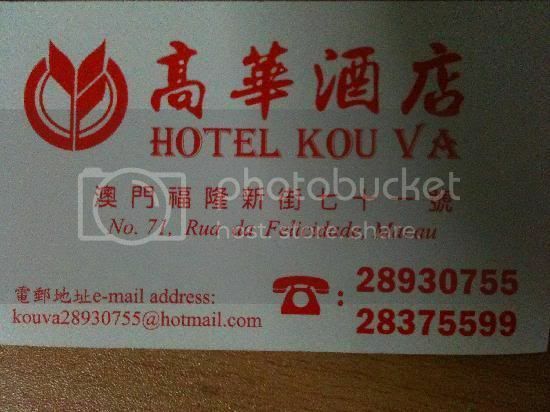 Recently, a lot of hotels have been discovered by Macau addicts such as Best Western Sun Sun, Best Western Taipa, Casa Real. Try to backread the first thread to be updated with the hotels that Macau addicts have tried. For hostel, I can only think of Augusters lodge although not recommended if you have council of elders with you since asa 3rd floor sila and they dont have lift so you gotta haul all your luggages to get to the hostel. If you have PHP with you, DO NOT exchange these PHP at the money changer at the ARRIVAL section of the Macau International Airport. The rate here is like 1 MOP=Php 30! The usual forex should be somewhere like 1 MOP=PHP 5.5! If you need to pay for the bus and taxi, try to buy Hong Kong Dollars here in Manila prior to your trip as HKD are also accepted in Macau (but MOP is NOT accepted in HKG). If you have USD with you, the rate of USD to MOP at the airport forex is ok. Many forex counters are readily available at the Senado Square in Macau/San Ma Lo area. If there is one place where you can really travel on a tight budget, it has to be macau! You can check out the free shuttle services of the major casinos! If you want to visit The Venetian, all you gotta do is to catch the free shuttle service at the Macau Ferry Terminal. There are also free shuttles to the most casinos in the Macau island so you can actually explore Macau without budgeting for transpo. The trick here is to know the casino nearest your planned destination. For example, if you need to go to the Macau Ferry Terminal, you need to catch the free shuttle terminal to the sands since this is just across the ferry terminal and facing the Fishermans Wharf. You will survive Macau by taking these two buses: AP-1 (from the Airport to Macau Ferry Terminal) and Bus #3. You will drop the exact fare in the box beside the driver as soon as you get in. Note that you will not get any change so please prepare exact amount. Note that the buses have designated stops. A tip: count the number of stops according to the list so that you will know if your stop will be the next. Bus #3 is the bus from the Macau Ferry Terminal to San Ma Lo. Follow the same procedure in taking the AP-1 bus. 2. One of the must-visits is the Michael Jackson Cafe at Ponte 16 at Sofitel. There is no entrance fee so if you are an MJ fan, better check it out. If you want to book cheap flights, always be on the look out for airline promotions. Macau has 2 ferry terminals. 1 is located in Macau peninsula called the Macau Outer Harbour Ferry Terminal or Macau Maritime Ferry Terminal. This is near downtown Macau; it is also near Fishermans Wharf, Grandprix Museum, Wynn, Grand Lisboa, Senado Square, Ruins of St. Paul. The other ferry terminal is located at Taipa which is near the Macau airport and the Cotai Strip which includes Venetian, City of Dreams and Galaxy. NWFF and Turbojet docks at Macau peninsula while almost all Cotaijet ferries dock at Taipa. There are travel agencies inside the ferry terminals that sell discounted ferry tickets. Yes they are legit. If you are traveling during weekends or holidays, it might be best to book roundtrip tickets to be safe. Generally speaking it is better to book roundtrip tickets. Ferry terminal is located at China Ferry Terminal near Harbour City along Canton Road in Tsim Sha Tsui. Walking distance for those residing in hostels in Tsim Sha Tsui but if you have heavy luggage just take a taxi, wont go over 20HKD. Ferry terminal is located at Hong Kong Macau Ferry Terminal in Sheung Wan. It is located above the Sheung Wan MTR station so it is easily accessible. Only available for those going DIRECTLY from the airport upon arrival from a flight to Macau. Those who already exited the airport can no longer take this ferry. Hong Kong Dollar (HKD) is widely accepted in Macau so for those coming from Hong Kong, no need to exchange your currency. Wing Hoi in Mirador Mansions, Tsim Sha Tsui is the best money changer in HK. Macao Pataca (MOP) on the other hand, cannot be used in Hong Kong. For those coming from the Philippines, you can either exchange PHP->HKD in Manila or exchange PHP/USD->HKD/MOP in casinos or in Senado Square. The exchange rate for PHP in the Macau airport is very poor so if you plan to change currencies here, dont change a lot. If you plan to exchange around PHP15,000 or less, the difference between money changers will be somewhat insignificant already so dont wrack your brains for a few hundred pesos saved. Walang location na malapit sa lahat because Macau is divided into 3 sections: Macau Peninsula, Taipa and Coloane. Downtown Macau is in Macau Peninsula while 3 of the largest hotels (Venetian, City of Dreams and Galaxy) and the airport are in Taipa. Macaus public transportation system is not as good as Hong Kong but it will do. What you should consider in choosing your accommodation: Availability of a free shuttle; proximity to a hotel that offers a free shuttle; proximity to a public bus stop. Make sure you stay in a place that has either 1 or all of these criteria. *Sneak-ins are OK but dont enter the hotel all at the same time. Let 1 or 2 persons do the check-in. The other just head straight to the room. Dont look guilty! *Those who have kids/seniors with them, try your best to book at a hotel with a good location. Macau is divided into 3 sections: Macau Peninsula, Taipa and Coloane. Downtown Macau is in Macau Peninsula while 3 of the largest hotels (Venetian, City of Dreams and Galaxy) and the airport are in Taipa. Big hotels (Wynn, Venetian, Galaxy, Sintra, President, Lisboa, etc) provide free shuttles to their hotels from key points in Macau including the 2 ferry terminals and the airport. You can ride these free shuttles even if youre not a guest of the hotel. There are also special shuttles like the City of Dreams <-> Venetian <-> Galaxy shuttle, the shuttle from Hotel Sintra (near Senado) to City of Dreams and the shuttle from Metropole Hotel (also near Senado) to Galaxy. If you are coming from a tourist spot not covered by the free shuttle, all you have to do is take a public bus or taxi to a spot covered by it. Macau is relatively small. Only downtown to Cotai/Taipa is considered far but since it is served by multiple free shuttles, you can already save a lot. If you are traveling around downtown Macau, dont hesitate to use the taxi for convenience. A walking tour starting from Wynn to Ruins of St. Paul (passing by Lisboa) is possible and should take around 3-4 hours all in all. It is just roughly 1KM+ from Wynn all the way to the ruins. Most shuttles have circular (roundtrip) routes but some don't like the Sintra->COD route. There are no free shuttles from COD to Sintra. Free shuttles usually begin service at 9AM or 10AM and end before midnight. Does my hotel have a free shuttle? Go to their website and check/consult with them. If your hotel doesn't have a free shuttle, ride the free shuttle of a nearby hotel. Google Map your hotel to see the nearby hotels that are big. Big hotels usually have free shuttles. Same thing for those staying in a hostel. Otherwise, take the taxi. For a daytrip from Hong Kong (excluding ferry fare)  P2,000-P4,000 per person should do. Most of the places to see in Macau are free while those that have entrance fees are not really expensive. Most of your spending will be for the transportation, food, shopping and entrance fees for shows inside the hotels. P1,000/day/person for food should be enough. Making use of the free shuttles plus some bus and taxi rides shouldnt be that expensive either. Big hotels like City of Dreams, Galaxy and Venetian usually have special offers whole year round. This is a good way of cutting costs because they are usually packaged with meals or with a show. There are also hotels that provide vouchers and other promotions if you sign up as a member of their hotel. For the House of Dancing Water, you might want to book online or ahead of time to make sure seats are available. As stated above, there are travel agencies located inside the ferry terminals in Hong Kong, they most probably have discounted tickets and other special combos you might want to consider. 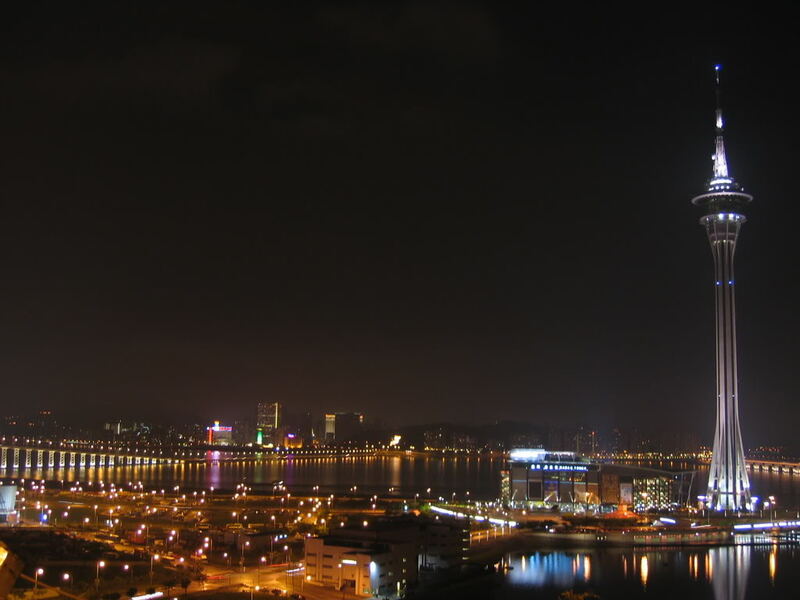 You can also check out Macau.com and http://www.groupon.hk/deals/macau for other promotions. These shows have garnered very good reviews and there is nothing in the Philippines that is even remotely near the extravagance of these shows specially Zaia and House of Dancing Water. If you can afford to watch them, do so. Always check the hotel websites for the latest promotions. Bus 3 and 3A will take you from the Macau Ferry Terminal to Senado Square. Flagdown rate is 13MOP. Most taxis can take 5 passengers; some 4. It is written on the taxi. If you are traveling as a group (3-5 people) or if you are traveling with seniors/children, do not hesitate to use the taxi for convenience. It is not THAT expensive. Forcing yourself to use the bus might only get you lost; wasting more time than the few bucks you saved. It is OK to use the bus as long as you did prior research. Estimating the distance or Looking for directions by walking or bus -> GOOGLE MAPS FOR MACAU IS ALSO GOOD, USE IT PLEASE. It also has Street View mode. Print the names of the tourist spots in Chinese (Traditional) to show the taxi driver or point to the tourist spot on a map. A lot of taxi drivers cant speak English. Wikipedia has most of the tourist spot Chinese names. If not, the maps provided above has them. For those staying for 2 or more days, just choose what tourist spots you want to visit. There are tons of itineraries in the old thread, just read them. If you will reside in a hotel/hostel, most of them allow luggage to be stored before/after your stay with them. Theres a luggage storage facility at the Macau airport. The Venetian also allows free luggage storage even for non-guests. This counter is located near the Venetian shuttles on the WEST side of the hotel. The minimum age to gamble is 18. Casinos only accept HKD. Generally-speaking there is no dress code so flip-flops and shorts are OK but it is still the casinos prerogative on whether to let you in or not. Photography is strictly prohibited inside casino areas. There are many local delicacies like egg tart, peanut candy and beef jerky being sold in and around Senado Square on the way to the ruins of St. Paul. FYI, products of Koi Kei Bakery is now being sold in Binondo, Manila. 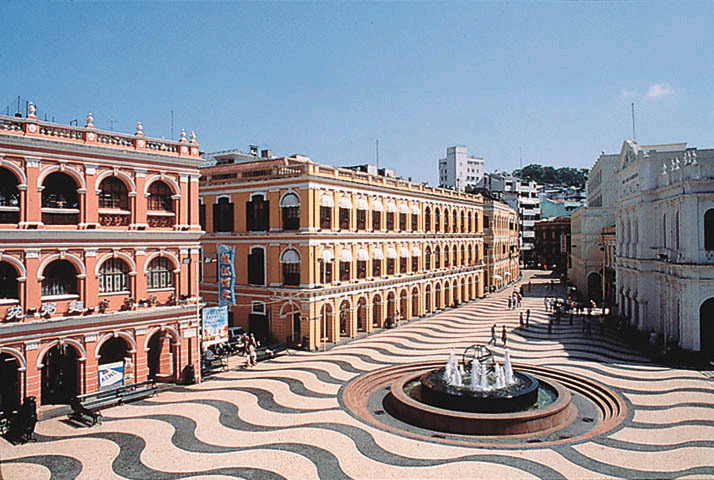 Macau is not known for shopping but if you want to shop, theres plenty of shops in Senado Square and inside Venetian. Macaus climate is similar to Hong Kong. Is 1 whole day enough for Macau? Depends what you want to see. The best sights in Macau can be covered in 1 day as a daytrip from HK. How many days do I need for Macau? 2-3 days is enough to see everything there is to see in Macau. 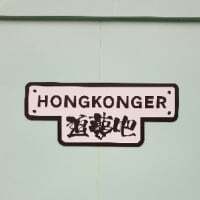 If you have 4 whole days, you can spend 1 day in Hong Kong. 4 whole days is too much for Macau alone. For those planning to do a sidetrip or overnight trip to Hong Kong, try not to do it on the same day as your inbound/outbound flight. If you can, avoid holidays and weekends because immigration lines can get very long. Allot at least 50HKD/meal/person as average for food. For small restaurants it can be lower. Finding restaurants isn't difficult, there are a lot of restaurants around the tourist spots. Big hotels like the Venetian have a foodcourt area. The most popular Portugese/Macanese restaurants are A Lorcha, Fernando and Platao. Casinos and hotels do not close. And no they do not have entrance fees. Bring Bonamine just in case of seasickness. Evening trips can get bumpy. Ferries do allow heavy luggage. Fees might be charged. See their websites for details. Yes you can enter in Macau then leave from HK and vice versa. No need to pay anything at the Macau airport for departure. There are Pinoys that part-time as tour guides. If you think you would be more comfortable with a guide to bring you around, then avail their services. They usually charge per head; just bargain with them. There are a LOT of Pinoys around Macau. If you're lost or need help, just approach our kababayans. I think the most common concern is getting around Macau for the least possible amount. Hindi ko kabisado yung mga public transport around Macau kasi taxi ako lagi, if not the free shuttles. ^^there's wisdom in taking the cab, especially if there's 4 or 5 of you. It'll turn out much cheaper, considering na traffic gets heavy nowadays in Macau. Paano pala yung Money/Currency Exchange pag hindi mangagaling from HK? Where to exchange currency if bringing USD? PHP? Magppost ka pa ba? I don't think I can handle the bulk of information for Macau cause I don't know it as much as I know HK. Maybe you can make a post tackling the Top 20 or Top 30 questions like what I did in the new guide for HK. I'm going to edit this post tomorrow to make it part of Page 1. Hello po... may question po ako i hope somebody can help me..
ano pong sasakyan namin from airport to augusters lodge? meron bang bus? or mas convenient pag taxi? how much? time of arrival pala namin 4pm... tia..
Holy House of Mercy	Museum: 10am - 1pm; 2pm - 5:30pm (closed on Sundays and public holidays). Small entrance fee. Currency - The currency is the Pataca (MOP) = 100 avos. Notes are in denominations of MOP1000, 500, 100, 50, 20 and 10 and coins are in denominations of MOP5 and 1, and 50, 20 and 10 avos. Hong Kong dollars are used extensively and widely accepted. Credit & Debit Cards - MasterCard and Visa are accepted. Check with your credit or debit card company for details of merchant acceptability and other services which may be available. You may also need a special pin number. Travellers Checks - These may be exchanged at banks, bureaux de change and at many hotels. To avoid additional exchange rate charges, travelers are advised to take travelers checks in US Dollars or Pounds Sterling. It is also recommended that you not use them for small purchase from merchants as you may lose quite a bit in the exchange. Currency Restrictions - There are no restrictions on the import or export of either local or foreign currency. Banking Hours - Banking hours are normally 0900-1700 Monday to Friday, 0900-1200 Saturday. Telephone - IDD telephone service is available with the country code being 853. The outgoing international code is 00. International facilities are available at the General Post Office at Leal Senado Square, Macau City, the Central Post Offices in Taipa and Colôane, as well as all phone booths. Mobile telephone may be used with the dual band GSM network which covers the whole territory. Main operators include CTM (website: www.macau.ctm.net) and the Hutchinson Telephone Company. Most hotels and many businesses have Fax facilities. Internet/E-mail - ISPs include MacauWeb (www.macauweb.com). Telegram - Services available at larger hotels and telecommunication offices, as well as at all phone booths. Time - GMT + 8. The main religions are Buddhism, Roman Catholicism and Protestantism. The majority of the people are Buddhists with the remain (about 7%) being Catholics and Protestants. Macau's most popular buys are jewelry (particularly gold and jade), Chinese antiques, porcelain, pottery, electronic gadgetry, cameras, watches and beading work. They are available at duty-free prices because Macau is a free port and no sales tax is charged. Other popular buys are Chinese herbs and medicines, dried seafood (such as sharks' fins), abalone, Chinese and Macau pastries, and locally-made knitwear sold at stalls. When purchasing antiques, gold and jewelry, it is advisable to patronize shops recommended by the Goldsmiths' and Jewelers' Association and the Macau Government Tourist Office. A warranty and a receipt should be asked for when buying jewelry, gold, cameras, watches and electrical goods. Bargaining is expected on many items although most shops will have the same minimum price. When bargaining, begin at a price lower than you expect to pay and then work up to a price where you feel comfortable. If you cannot reach an agreement, begin to walk away. I have found that this often with bring the price down a little more. The main shopping area is located along the Avenida do Infante D Henrique and Avenida Almeida Ribeiro, São Domingos Market, Rua de Palha, Rua do Campo and Rua Pedro Nolasco da Silva. Antiques and unique gifts may be found in Macau's flea market in the lanes around Rua das Estalagens (near St Paul's Ruins). There is an Artisan's Fair every Saturday evening in Santo Agostinho Square. You can also head across the Chinese border to Zhuhai, where the first floor of the Gongbei market is well known for antiques, ceramics and fabrics. Software is also a good buy in Zhuhai. The following goods may be imported into Macau without incurring customs duty: 200 cigarettes or 50 cigars or 250g of tobacco products, 1 litre of wine and 1 litre of spirits, and other goods up to a value of MOP 10,000. There is a 5% duty on the import of electrical appliances and equipment. There are no export duties. However, as travel is almost invariably via Hong Kong, the relevant Hong Kong import/export regulations must be observed. A valid passport is required by all visitors with the exception of nationals of China who have a China Identity Card or travel permit and nationals of Hong Kong (SAR) who have a Hong Kong Identity Card (HKIC). Visas are required by all except the following: all EU countries, Czech Republic, Estonia, Iceland, Lebanon, Norway, Poland and Slovenia; and nationals of Australia, Brazil, Canada, Egypt, Hungary, India, Indonesia, Japan, Kiribati, The Republic of Korea, Liechtenstein, Malaysia, Mexico, Monaco, Namibia, New Zealand, Philippines, Samoa, Seychelles, Singapore, South Africa, Switzerland, Thailand, Turkey, the United States, nationals of China (PR), residents of Hong Kong (SAR), and Taiwan; and holders of a Hong Kong Identity Card (HKIC) or Hong Kong Permanent Identity Card. Nationals of all EU countries, Czech Republic, Estonia, Iceland, Lebanon, Norway, Poland and Slovenia for stays of up to 90 days. Visas are valid for 30 days and can be extended on application to the immigration office. Travessa de São Domingos 11 (tel 339 089). Near the Largo do Senado, this is a great place for Portuguese pastries and some of the best coffee in town. Avenida de Praia Grande 795 (tel 714 009). Although this is a private club, the dining room is open to the public. A great way to see inside one of Macau's colonial buildings - which has been beautifully restored - although the food doesn't match the surroundings. A very popular, traditional old restaurant in an area busy with cafés and restaurants. Pigeon is the speciality. Avenida Dr Mario Soares 259 (tel 786 622). Excellent Cantonese seafood, although expensive. Galo - house specialties as Macau crabs, prepared with a mixture of Shanghainese and Macanese ingredients, rather than curry. You might also want to try giant prawns, mussels, African chicken, Portuguese broad beans, or the mixed grill. Largo do Senado 7. Virtually next door to Long Kei, this is an excellent milk bar offering milk with everything - fruit, chocolate, eggs, ice creams, puddings and breakfasts. Largo do Senado 7B (tel 573 970). A one-hundred-year-old traditional but inexpensive Cantonese restaurant, on the left side as you face the square from Almeida Ribeiro. Dim sum available. Rua de São Tiago da Barra 25 (tel 969 000). A short walk south of the Maritime Museum and offering excellent Macanese dishes in a friendly atmosphere. Avenida da Amizade (tel 963 831). Genuine Italian food and not just pizzas, though these are superb, as is the coffee. A-Ma Temple is located on the south-western tip of the Macao Peninsula overlooking Barra Square and the seashore. Around the corner of A-Ma Temple is the Moorish Barracks situated on Barra Street. Further up the road, the narrow street suddenly opens onto Lilau Square, the first residential district of the Portuguese settlers in history where the Mandarins House is just tucked behind the pastel façades across the street. Further up the road, Barra Street connects into Padre António Street and Lourenço Street where St. Lawrences Church stands. Behind the church, Prata Street leads to the junction of São José Street where the grand entrance to St. Josephs Seminary and Church is located. Walking alongside the granite wall on Prata Street and the adjoining Seminário Street, one arrives at the junction of Gamboa Lane. Climbing up the hill from there, the path leads to St. Augustines Square enclosed by a cluster of monuments - St. Augustines Church, Sir Robert Ho Tung Library and Dom Pedro V Theatre. Moving down Tronco Velho Lane to Almeida Ribeiro Avenue, the narrow streetscape opens onto the main city square - Senado Square. Situated at one end, the Leal Senado Building has a commanding view overlooking the entire square, flanked on both sides by South European-style buildings with the glimmering white façade of the Holy House of Mercy standing in its midst. Tucked behind the commercial shop fronts to the left of the Leal Senado Building is the Sam Kai Vui Kun Temple. Climbing up the slope alongside the Holy House of Mercy, one eventually lands at Cathedral Square on the hilltop where the Cathedral is located. Turning back down to St. Dominics Square, one passes a typical Chinese courtyard house compound  the LouKau Mansion. St. Dominics Church is located at the junction of Senado Square and Dominics Square. Ascending from the base of Mount Hill from this urban piazza along Palha Street, the bluestone cobbled road leads to the grand façade of the Ruins of St. Pauls, with Mount Fortress to the side of it. Behind the majestic church front, is the miniature Na Tcha Temple and Section of the Old City Walls. Further down the hill, the linear route ends at St. Anthonys Church, the Casa Garden and the Protestant Cemetery. Standing on the highest hill of Macao Guia Hill, Guia Fortress, Chapel and Lighthouse are visible along the skyline of the peninsula. Macau is covered by a host of bus routes that bring passengers from the Macau peninsula to Taipa and Coloane from 6;00am to 12:00pm daily. The bus routes have great coverage and fare is cheap. The only consideration is which bus to hop on. Bus stops display information in Chinese and Portuguese, and some include descriptions of nearby scenic spots and important buildings. Most tourist destinations are accessible by public bus. In Macau, there are two types of taxis for rent: yellow and black. They charge the same starting rate of MOP13 for the first 1,600 meters. Each additional 230 meters costs MOP1.5. Waiting incurs a charge of MOP1.5 per minute.There is also a luggage fee of MOP3 per bag. An additional MOP5 is applicable for taxis coming from the Macau International Airport and those leaving Macau for Coloane. The best places to hail a taxi are at the Border Gate, the ferry pier, Macau International Airport, and outside casinos and hotels have taxi stands. Many hotels offer free shuttle rides to and from the Border Gate and ferry port. Hop on a shuttle bus if your destination is a hotel or some place nearby. Pedicab is slow but this is the most romantic way of experiencing the long sweep of the Praia Grande Bay, and the old and traditional streets downtown. Main locations for catching a pedicab are outside the Macau Ferry Terminal and opposite the main door of the Lisboa hotel. Fares are negotiable and make sure to agree on a price first but there are some fixed itineraries which costs between Mop$40-100. Colourful, open-top mini-jeeps know as mokes are a fun way to get around and to explore the island of Taipa and Coloane. It is cheap and easy to hire. You can book them from a counter on the ground floor of the ferry terminal. Drivers must be at lest 21 years old and hold a valid International Driving License. Copy the "Forum Code" link then paste it here on your reply. Instead of having savings, you lost more than P5,000 by joining this tour. In Senado Square, I can imagine myself i'm in Lisbon, Portugal-- kung wala lang mga Chinese at mga Chinese signs. Hehe. Plus, I agree with the free shuttle buses. Great way to roam around the Macau Peninsula and maybe around Taipa too for free. Yung regular buses naman, I don't find them convenient unlike sa Hong Kong. Hindi ako nakaka-tyempo ng mauupuan, lagi akong nakatayo. Hehe. In Hong Kong, I think bawal silang mag-accomodate ng standing passengers. With Macao Dragon now on service, mas mura na ang Macau-HK route and vice versa. Yun nga lang, I think limited lang ang service nila at wala silang night sailing. Hehe. I just want to remind everyone that this ferry service has gone bankrupt and is no longer available. Ooops.. sorry Last time I was in Macau was Dec 2010. Been there about 4 times na din siguro. May Macao Dragon pa nun. Lately lang po ba sila na-bankrupt? Sayang naman. They used to have cheaper rates than TurboJET, NWFF, and CotaiJet. Hi, sino po sa inyo ang nakapagtry na ng free breakfast na kasama sa accommodation in Venetian? Up to what amount of food ang libre? or is it a 3 course meal na restricted ang choice? Please describe naman po kung meron ng nakapagtry. thanks! WHICH AREA OF MACAU SHOULD WE STAY? For those staying for 1 night only, I suggest you book somewhere near Senado Square because this area has a lot of commercial establishments, good accessibility and shuttles to COD/Galaxy. Highly suggested hotels for an overnight stay in Macau: Hotel Sintra, Metropole Macau, Presidente, Emperor and Fortuna. It's just 1 night so don't skimp on these hotels; sneak-ins are allowed anyway. For those staying for 2 or more nights, we still suggest staying somewhere near Senado or at least somewhere in downtown Macau. If you will stay in Taipa/Cotai/Coloane, make sure your hotel has a free shuttle because these areas are not as accessible as downtown Macau. Senado Square is a good point of reference. No matter where you will stay, make sure you know how to get to this place. CASINO DRESS CODE. If you have plans of entering the casino or playing inside the casino, do yourself a favor by not wearing shorts and/or slippers. Better safe than sorry. MORE ON FREE SHUTTLES. Some shuttles do not arrive/leave on time so you will have to wait. Do not ride the shuttle if you are pressed for time or you might miss your ferry/flight. Although most shuttles do not care whether or not you reside on their hotel, there can be instances where shuttles might be stricter or where a voucher is needed. If this happens, just take a different shuttle to a nearby hotel, take the public bus or the taxi. Usually this only applies to smaller, less known hotels. Don't worry about Venetian, COD, Galaxy and Wynn shuttles. AIRPORT TO MACAU FERRY TERMINAL. Don't take the free hotel shuttles. Just take the AP1 public bus (around 4HKD/person) or take a taxi (around 70HKD). Or you can take the Cotaijet instead which departs at the Taipa Ferry Terminal beside the airport. SNEAK-INS. Strictly NO strict ins for hostels like Augusters and small hotels like San Va or Nam Pan. These places have small lobbies so they will see sneak-ins easily. If you want to sneak-in, book in a hotel even if it's just a cheap hotel. Macau.com is another good source of information specially for hotels and their location/accessibility. They also have promos, etc. ZHUHAI. You need a China Visa to enter Zhuhai and other parts of mainland China. If you are traveling to Macau with your luggage, plan ahead of time where you will leave your luggage. Metropole and Metropark hotels are NOT the same. Metropole has a slightly better location. AUGUSTERS LODGE. Located at the 3/F of the building; no elevator. ELECTRONICS. Macau is not a place to buy electronics. It is cheaper in Hong Kong. SOUVENIRS. A lot of them can be found around Senado Square. HOTEL RELATED QUESTIONS. Like price of a gondola ride, price of the shows and schedule; please visit their website. Anong meron dito? Kaya bang lakarin ito? GOOGLE IT. Be vigilant against over-friendly and over-diligent strangers. There are scams in Macau. The Venetian is huge and has 2 lobbies. MACAU HOLIDAYS. Avoid as much as possible. The Bubble Show and Dragon's Theatre are the same. 30HKD entrance fee. Hi! Can anyone please advise on where we can stay. Will be having the trip in December. :bashful: These are our options.